A. 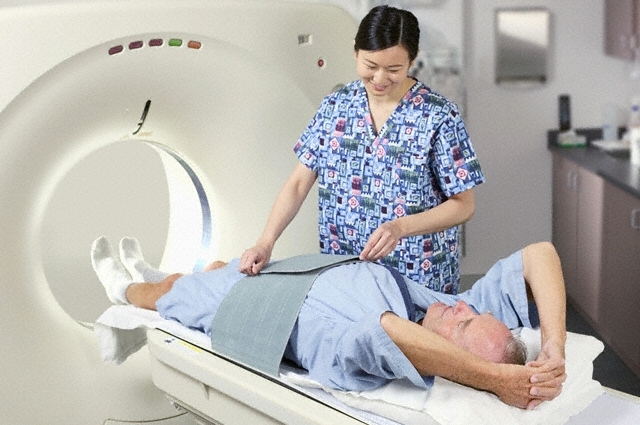 Specialized personnel give a CAT scan. B. The woman is signing a health insurance policy. C. The pay clerk is preparing the salary checks.